Hackl, whose past collegiate administrative experiences include a presidency at Wartburn College in Waferleigh, Iowa, has been away from the higher education field since 2008. While Hackl is the current frontrunner for the Presidency, he has received criticism for what has been described by Faculty Chair Jim Choo as “his aloofness, hesitancy, and apparent deafness. I yelled his name eight or nine times last week before he finally turned to me and said ‘oh, yeah, I’m him. 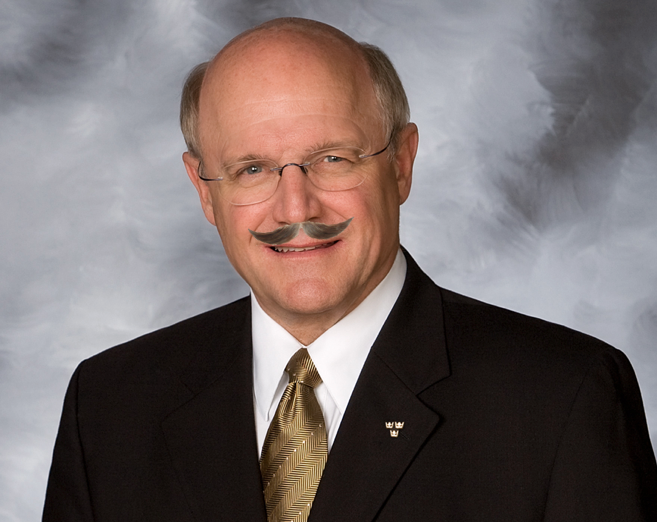 What now, Choo?’” Critics have noted that Dr. Hackl is in many ways similar to the College’s current president, except for the groomed facial hair that sits between his upper lip and nose. Read more on the college’s top candidate here.